Read Carefully!! None of our competition has caught up to our last version of this oil which before could handle significant fuel dilution and issues caused by required emission systems. This lower cost line has been improved beyond that technology. AMSOIL Heavy-Duty Synthetic 10W-30 Diesel Oil is formulated to deliver improved heat and oxidation resistance compared to conventional diesel oils. It provides clean engine operation and helps maintain power and fuel efficiency for superior engine performance. AMSOIL Heavy-Duty Synthetic Diesel Oil also flows dependably in cold temperatures for easier startup and improved engine protection. 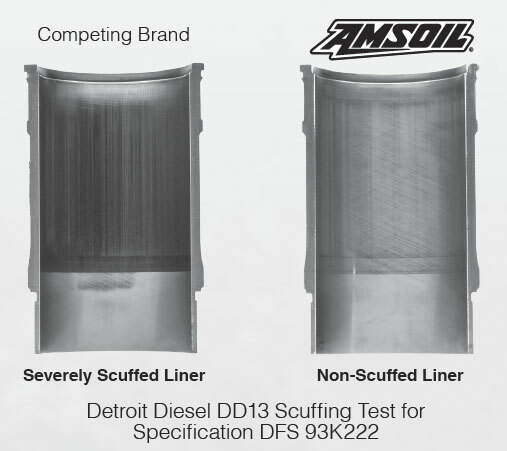 AMSOIL Heavy-Duty Synthetic 10W-30 Diesel Oil has a low rate of volatility (burn-off), reducing oil consumption during operation and passing less oil vapor into the combustion chamber. 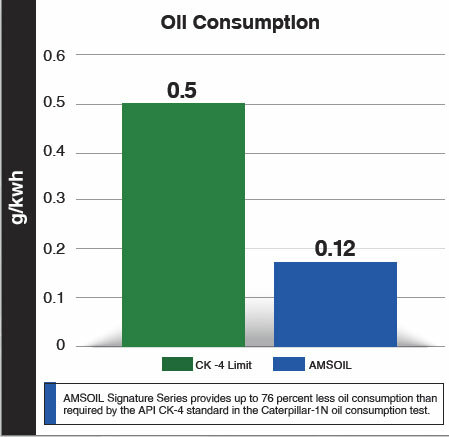 It provides up to 66 percent less oil consumption than required by the API CK-4 standard in the Caterpillar-1N oil consumption test. Available in our Sioux Falls store.